Innovative technology, variable frequency, reliability, robustness and ease of use in a range of compact IP20 & IP66 enclosures. Options for built-in and external filters for full EMC compliance. 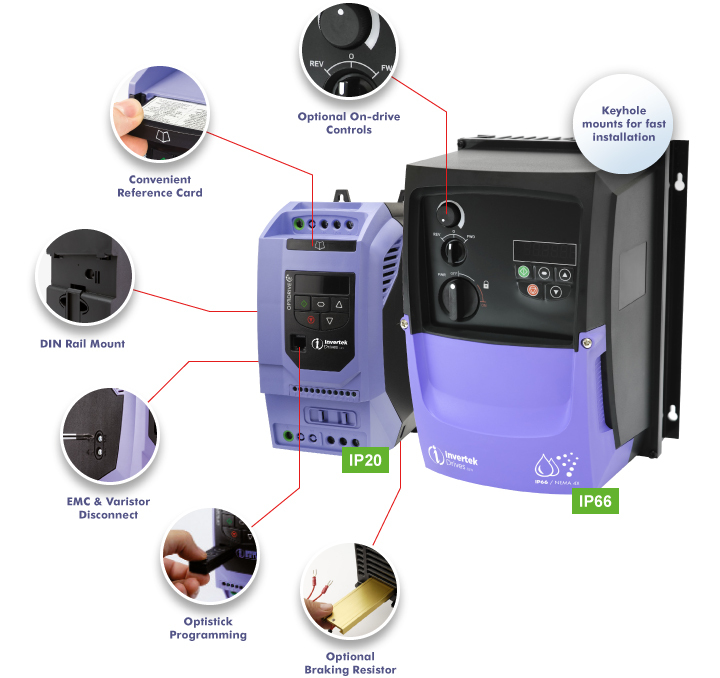 Easy integration with your control & monitoring systems. Dynamic & compact options with heatsink mounted resistor. 150% overload for 60 seconds. 175% overload for 2 seconds. 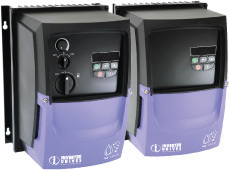 Switched and non-switched versions of the IP66 drive are available.